Western North Carolina's mountains contain some of the best mountain biking to be found anywhere. Gravel roads that wind along lazy streams through forested valleys, or trails that climb up steep mountainsides; trails that cross 5,000 foot mountain peaks or singletrack that traverses long, narrow ridgelines: all are here within the boundaries of the Old North State. Whatever you're looking for, be it a gentle cruise to a beautiful picnic spot, or a rugged descent on technical singletrack, you've chosen a great place to experience it all. Any place names shown in red in this article can be found on the Western North Carolina Area Map. Links within the article will take you to various places within this site, for more detailed information. This guide, just like the rest of this site, does not assume you are new to mountain biking as a sport - just new to riding in WNC! But this is, in the winter. What does MTB WNC mean? Are there really mountains and mountain biking out east? Where is Western North Carolina, and do people really live in those mountains? 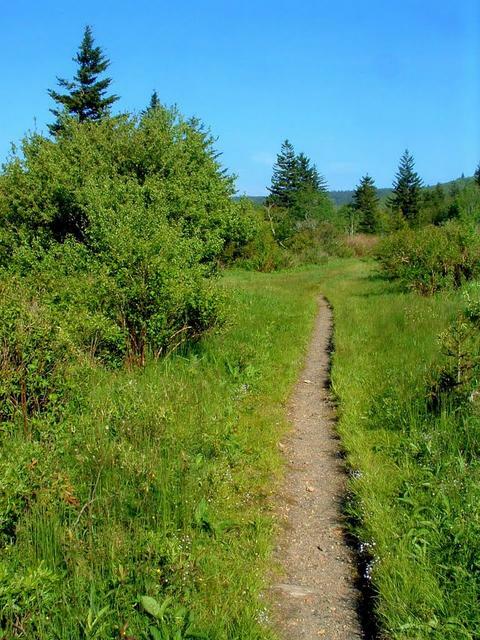 What are Pisgah's trails like? Where is Tsali, and what are its trails like? Where are the rest of the trails? Is there lift service for any of WNC's trails? With only one day...where should I ride? On a trip of a few days...where should I ride? Where should I stay to hit the best trails? How do I use this site to plan my rides? Which section of this site should I use, "Best Rides" or "Trail Information"? "Help! I popped my tires and wrecked my frame while trying to ride down the face of Looking Glass Rock. Where can I get some new parts?" MTB is a popular abbreviation for "Mountain Bike" and WNC is a popular abbreviation for "Western North Carolina", so it means "MounTain Bike Western North Carolina". Are there really mountains out east? Yes, nearly 7000' tall. And mountain biking, too. Where is Western North Carolina (WNC)? The state of North Carolina is divided up into three parts (from east to west): the coastal plain, the piedmont, and the mountains. The mountains section is often referred to as Western North Carolina, or WNC, and this is where the best mountain biking can be found. 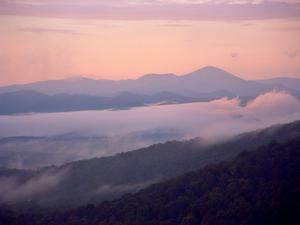 Asheville is WNC's largest city, and it sits right in the heart of the region. To the north of Asheville are the resort towns of Boone and Blowing Rock; to Asheville's south are Hendersonville and Brevard; to its east lie Black Mountain and Hickory; and to its southwest are Waynesville, Franklin, Highlands, and Murphy, to mention a few. Confusing? See the WNC Area Map. Tell me where the trails are! Traditionally, there have been three three trail systems in WNC that every rides and the magazines review, and you too will want to ride at each of them. They are Pisgah, Dupont State Forest, and Tsali. Pisgah and DuPont are near Brevard; Tsali is near Bryson City and Cherokee. In recent years, there have been a lot of new trails opened up to mountain biking in the area as well, and they are definitely worth checking out. To name a few: Panthertown, Alexander Park, Jackrabbit Mountain, Bracken Mountain, Rocky Knob, Kerr Scott...see the Trailheads section for the full list. The Pisgah National Forest stretches into the mountains all around the city of Asheville, but this forest is divided up into 3 sections called Ranger Districts. 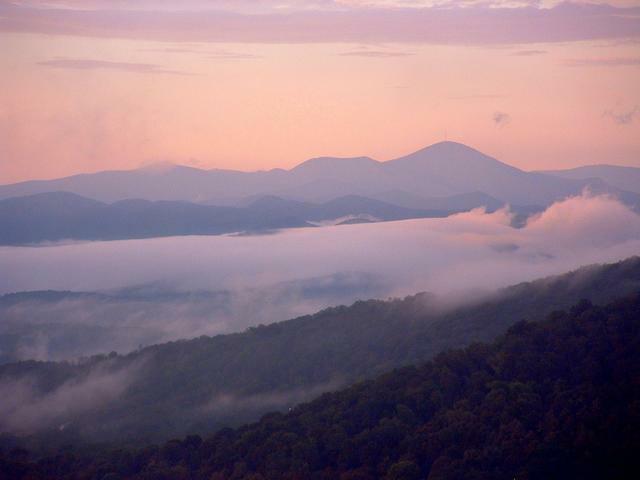 They are called the Appalachian, Grandfather, and Pisgah Ranger Districts. 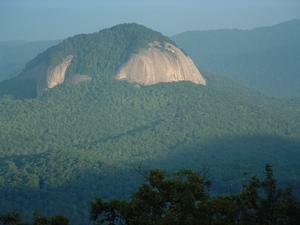 The Pisgah Ranger District, located south of Asheville on either side of the Blue Ridge Parkway, is where most of the mountain bike trails are, and it's also where the actual Mount Pisgah sits. You'll here it called South Pisgah. Other ranger districts do contain some great trails (like Big Ivy/Coleman Boundary, Hot Springs, and Wilson Creek). You'll hear this called North Pisgah. But South Pisgah is what most people mean when they just say they're riding Pisgah. For the purposes of this site, the Pisgah Ranger District (South Pisgah) is divided up further into three parts: the Bent Creek, Mills River, and Davidson River areas. This helps to organize the trails since most of them fall into one of these three watersheds. So what are Pisgah's trails like? Though Pisgah's trails are varied and receive regular maintenance (like all of WNC's trails), they tend to be wet, rocky, rooty, eroded, and fairly technical in general. Most trails have significant climbs and drops. Even Pisgah's easier trails can be quite difficult to someone not who is used to riding in the mountains. I've heard about how great this Tsali place is where is it and what's it like? The Tsali (pronounced Sah-lee) trails are located on a peninsula sticking out into Fontana Lake near Bryson City, Cherokee, and the Great Smoky Mountains National Park. 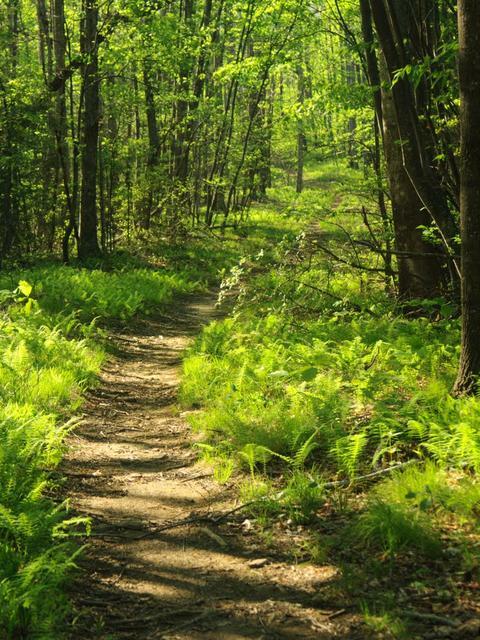 Technically, the trails are located within the Nantahala National Forest at the Tsali Recreation Area. Tsali's trails are very long, extremely fast, hardpacked, and not as eroded as Pisgah or DuPont. The hills are long but generally not steep. Of course, there are a few steep hills and technical sections but for the most part, unlike nearby Pisgah, Tsali is smooth sailing. Where is DSF, what does it stand for, and how are its trails? Dupont State *Recreational* Forest (DSF or DSRF) is just a few miles southeast of Brevard. It is easily accessed by US Hwy. 276. It has a large trail system and it's bound to become a very popular riding area. Again, the trails at DSF are varied, but they are more like Pisgah (technical, bumpy, hilly) than Tsali (smooth and hardpacked). One thing that makes DSF unique is the presence of slickrock! Several trails at DSF cross over huge expanses of solid granite, which you won't find much of outside the desert Southwest. Where else is there to ride in WNC? Though most of WNC's trails are on the public lands mentioned above, there are still a few other places to ride. In WNC's Northern Mountains (or "The High Country"), there are several such places. One is Sugar Mountain Resort, with 20 miles of trails, where you can even load your bike on a ski lift and get hauled to the top of the mountain. 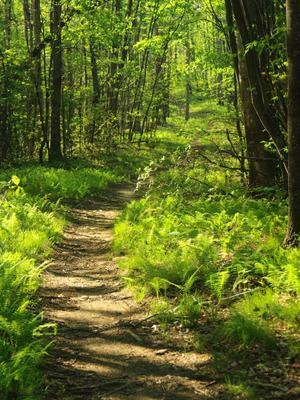 There are also several trails near the town of Beech Mountain, right next to Beech Mountain Ski Resort - and they've just added 8 more miles of purpose-built multi-use trails with a master plan that calls for up to 20 miles of trail. Rocky Knob Park is also near completion and offers another 6 miles of trails near Boone. Nantahala National Forest just opened the Jackrabbit Mountain trail system in the far southwest corner of the state, near Murphy. The nearby Hanging Dog trail system is also under construction - altogether, 25 miles of trails may be available in that region eventually. The U.S. Army Corps of Engineers owns land around W. Kerr Scott Reservoir near Lenoir, NC, and construction in recent years has added another couple dozen miles of trails to the inventory there. Elsewhere, there are many gravel roads, both on and off of public lands, available to mountain bikers to ride. Within the Nantahala National Forest alone are seven officially-recommended loop rides on gravel roads. A few roads are open in the Great Smoky Mountains National Park. There are several gravel roads at South Mountains State Park on which bikes are allowed, also. Is there lift service anywhere in WNC so I can practice my downhilling skills? Yes! Sugar Mountain Resort offers lift service to mountain bikers, hikers, and sightseers in the summer. There is a fee for lift service, but if you climb to the summit on your own, trail use is free. Ok...I have only one day to ride in WNC...where should I go? It depends on where you're staying, and what difficulty level of a ride you are looking for, but I would recommend trying one of the Best Rides listed on this site. There is probably one that meets both your difficulty and location requirements. I'm here for several days, and I'd like to take a few rides...where should I go? Try the Best Rides on this site. Pick one that sounds great for each day - you could start with a lower difficulty level and work your way up; this would allow you to get used to riding conditions in the area and have the most fun. Try picking at least one ride from Pisgah, Tsali, and DSF to get the most out of the varied terrain and conditions we have here in WNC, and plan on staying at each area for at least one day. If you've got plenty of time, get some maps, look at the Trailheads on this site, and try choosing the trails with things you want on them, to come up with your own rides. Where should I stay in order to hit the best trails in the area? If you want to camp, try any one of the public campgrounds listed on this campgrounds guide. Many trails are within walking (or riding) distance of these campgrounds. If you're lodging, Brevard is probably the best place to stay for mountain biking. This puts you within a 10 minute drive of many trails, and within a 30 minute drive of most trails in Pisgah and DSF. 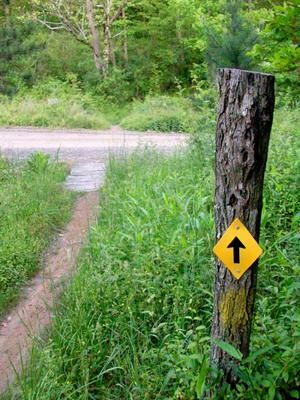 But with more trail systems popping up in the region, your options are getting wider as well. Asheville is bigger, has a bit more of a night life, and presents many more lodging options but it's a little further from the trails. The closest trails to Asheville are at Bent Creek, about a 15 minute drive, putting the rest of Pisgah within an hour's drive and most of DSF within 1 hour 15 minutes. If you want to ride Tsali, some towns in which you might want to stay are Bryson City, Cherokee, or Fontana Village. How do I use this site to plan my rides? What's the difference between the "Trailheads", "Trails", and "Best Rides" sections? The "Trailheads" section groups the trails into logical areas where the trails start - a park, a campground, a river valley, or the like. The "Trails" section contains details about each individual trail in the network under each Trailhead. A "Best Ride" combines these individual trails - or portions of them - into a route you can follow (usually into a loop). Usually, one or two of these rides can fill up a day's time. So what makes them the "best?" It's subjective, but they usually contain something special, like an easy climb to an awesome downhill, or a waterfall and a great view. And rather than trying to figure out which trails would make a good loop, and which direction to ride them, and where the best downhills are, and so on, you can follow these fun routes which have all the information you need to ride them right here on this site. Try a Best Ride (or two) on this site and then start putting together your own from trails in the Trailheads section. If it's body parts you're talking about, Mission St. Joseph's Hospital in Asheville will be your best bet. If you survived the fall and just need some bike stuff, then one of the local area bike shops will do just fine. There are many great shops in our area, so there's bound to be one close to the trails you're riding. For details, visit the Bike Shops page.